WASHINGTON (CNS) — In a message of support for the March for Life in Washington, a Vatican official praised “the tens of thousands” of participants for their witness to the “value of every human life” and for upholding the dignity of life from conception to natural death. “You give witness to the world of your understanding of the value of every human life and of your commitment to welcome, nurture, protect and integrate every human life from the first moment of conception until natural death,” said Archbishop Vincenzo Paglia, president of the Pontifical Academy for Life. He made the remarks in a statement dated Jan. 19, the day of this year’s march, and addressed to March for Life officials. It also was sent to Cardinal Daniel N. DiNardo of Galveston-Houston, president of the U.S. Conference of Catholic Bishops; Cardinal Donald W. Wuerl of Washington; and Bishop Michael F. Burbidge of Arlington, Virginia. 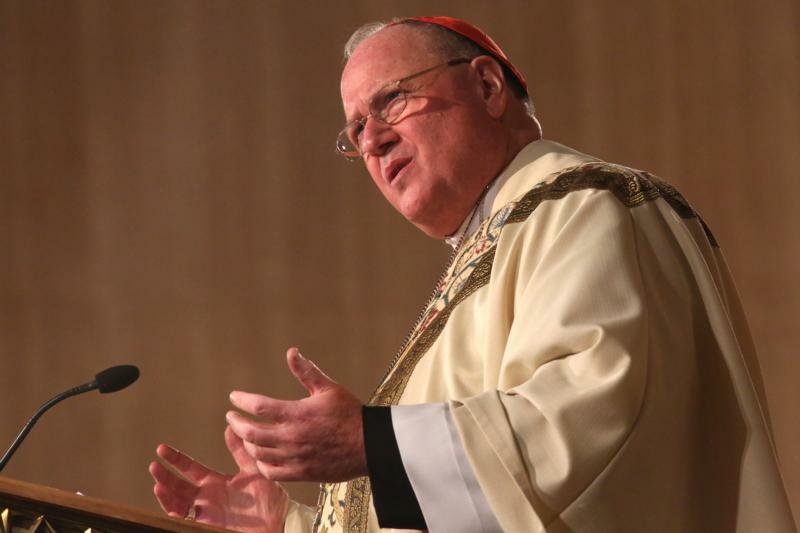 In a Jan. 16 statement, New York Cardinal Timothy M. Dolan, chairman of the USCCB Committee on Pro-life Activities, urged Catholics and others across the country to get involved in the “9 Days for Life” prayer and Action Campaign Jan. 18-26. “Our prayers matter,” he said. The campaign’s website is www.9daysforlife.com. “9 Days for Life” is the U.S. bishops’ annual, pro-life prayer and action campaign surrounding the anniversary of the Supreme Court’s 1973 decisions in Roe v. Wade and Doe v. Bolton that legalized abortion throughout all nine months of pregnancy. The overarching intention of novena at the center of the event is the end to abortion, and each day treats a different aspect of respecting the dignity of the human person — from the beginning of life to its natural end. This year, as part of the Catholic Church’s “Share the Journey” campaign supporting displaced persons, one day addresses human trafficking, something migrants and refugees are particularly at risk of suffering. Participants can make a “digital pilgrimage.” They are encouraged to build “a culture of life” through prayer and action and by sharing their experiences on social media with the hashtags #9DaysforLife and #OurPrayersMatter. There also is a Facebook frame participants can use on their profile picture to show their support for life.